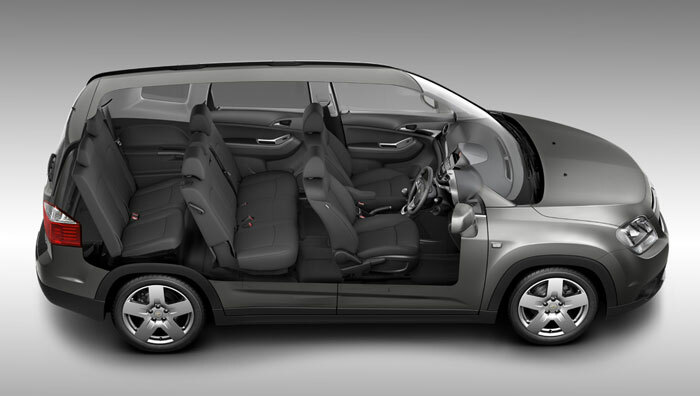 The seven seater Chevrolet Orlando is an American influenced seven seat MPV and is available in three different models: the LS, LT and LTZ. There are three engine / gearbox options to choose from: a 1.8 litre petrol engine with manual gearbox, a 2.0 litre diesel with 6 speed gearbox and a 2.0 litre diesel engine with automatic gearbox. There is plenty of legroom in the front and middle rows although the third row passengers are a little less well catered for. The middle row seats are not individual and fold in a 60 / 40 split. When all the seats are folded down it does create a nice flat load space of 1594 litres. 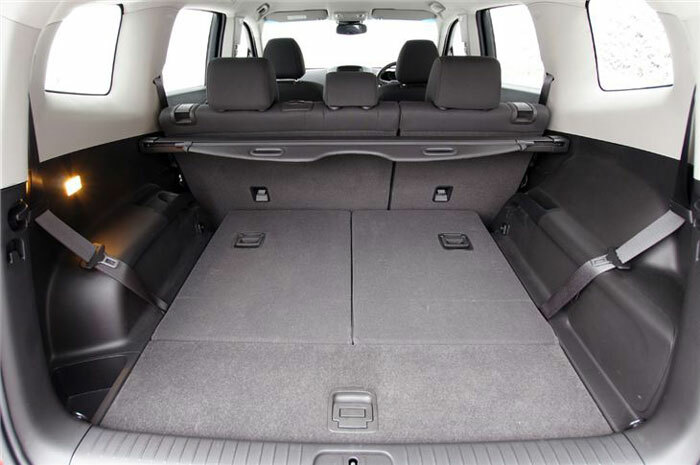 But like the other seven seat offering from Chevrolet the Captiva if you are looking to use all seven seats frequently you are left with very little boot space. Perhaps enough for a couple of shopping bags. All models come with either air conditioning (LS) or climate control (LT and LTZ). Leg room and head room is good creating a comfortable space for long journeys. The suspension is soft enough to soak up most bumps in the road whilst not allowing the car to sway. The petrol engine can be noisy when worked hard but the diesels are a lot more refined. Most drivers should be able to find a comfortable driving position as the steering can be adjusted for reach and height and the seat is fully adjustable. Many of the soft touch plastics that are evident on many of it’s competitors haven’t made it into the Orlando and driving controls are functional rather than pleasing. It is however pleasing to report that on the open road the Orlando displays some great handling. It’s steering is precise and body roll is minimal and the suspension generally is well set up for both comfort and control. 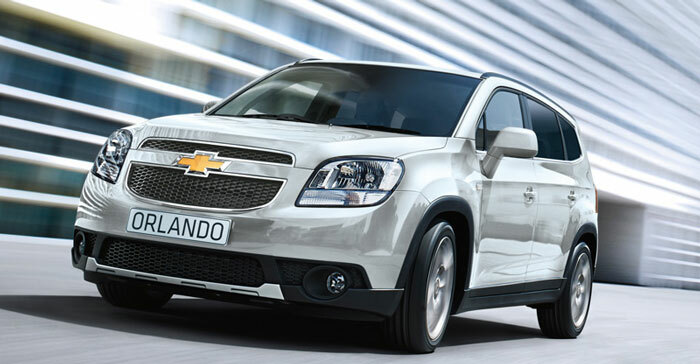 There are three engines available on the Chevrolet Orlando. A 1.8 litre petrol with five speed manual gearbox that has a top speed of 114 miles per hour and a 0-62 mph time of 11.6 seconds. There is a six speed 2.0 litre diesel engine that has a slight lower top speed but gets to 62 mph in just over ten seconds and a higher powered 2.0 litre diesel engine that has a top speed of 120 mph and does 0-62 mph in ten seconds. The petrol and higher powered diesel engines are aslo offered with a six speed automatic gearbox which has reasonable pace but the fuel consumption figures are disappointing, achieving a combined figure of just 25.6 miles per gallon for the petrol and 34.8 for the diesel engine. The Orlando gained five stars in the Euro NCAP crash test. Standard across the range are front, side and roof curtain airbags; anti-lock brakes and traction control. The two outer seats on the middle row have ISOfix child seat fittings. 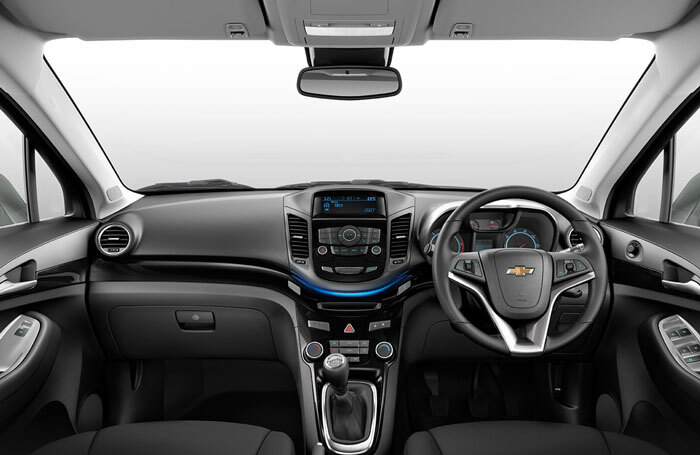 The LT and LTZ models feature a park assist feature which warns the driver as they approach objects. Whilst the Orlando is well priced to buy the running costs are not as well received. Fuel consumption is reasonable on the petrol and diesel engines as long as you opt for the manual transmission. If you want an automatic gearbox prepare yourself for regular trips to the petrol station. 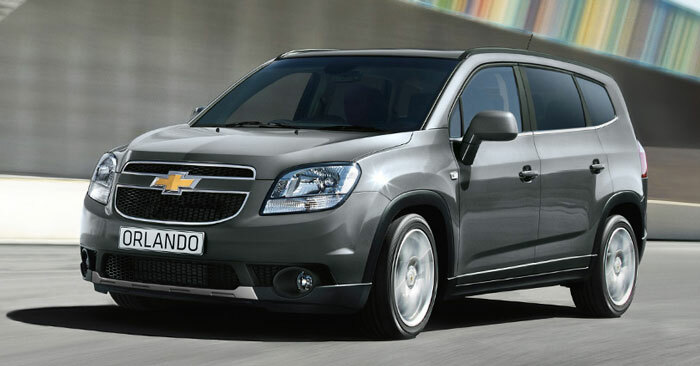 The five year warranty will help to reduce costs of ownership but Chevrolet still suffer from fairly heafty depreciation so the competetive purchase price is offset when you come to sell. All Chevrolet cars come with a five year warranty as standard which is probably just as well because unfortunately Chevrolet dont have the best reputation for reliability, consistently appearing towards the bottom of JD Power surveys. 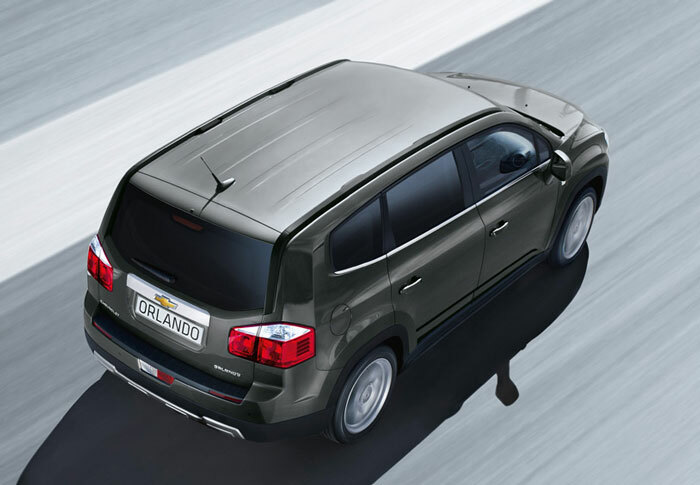 The Chevrolet Orlando offers seven seat car buyers a lot of car for the money with good levels of equipment as standard. It is a practical MPV with unique styling and surprisingly good handling. If Chevrolet can address their reliability record they could have a really great offering here.